Certain business models are predicated on the idea that there are significant changes ahead. Those who anticipate those changes before others do – and who are thus strategically positioned to offer products and services that will accommodate those changes – stand to do well. It is in this sense that the Baanx proposition is best understood – sensing a near-future migration of today’s existing financial services and products to a blockchain-based infrastructure, the team behind the ICO are seeking to raise the kind of capital necessary to erect the go-to platform for businesses which will soon be seeking to incorporate blockchain technology for the benefits it brings. 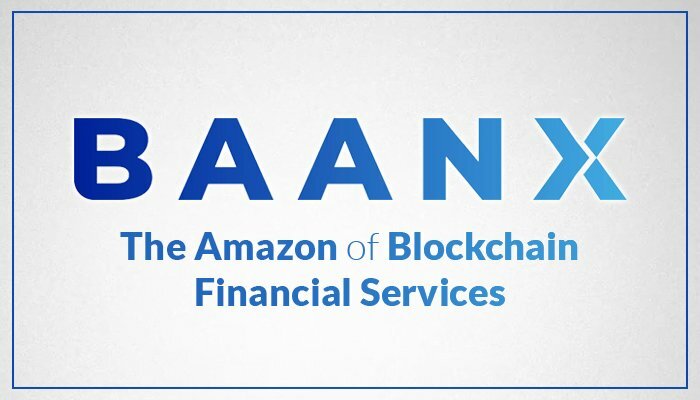 Describing itself as an Amazon for Blockchain Financial Services, Baanx, like Amazon, is also hoping to act as a single point of access for retailers of all kinds within the specific niche of blockchain-based banking and financial services. However, unlike Amazon, Baanx will also be offering a further feature to their offering – it will serve as a white-label platform for third-parties offering an assortment of financial products – loans, investment products, banking services, pensions, insurance schemes etc. The idea is for these providers to avoid having to re-invent the wheel for themselves, with Baanx offering up a set of pre-packaged solutions – including a suite of APIs and its own operating licences – that will allow others to migrate quickly to a blockchain platform. We have, then, an ambitious project with vast scope and which will require an expansive support network to achieve its goals. With over 100 years of combined experience in banking and financial services, the team behind the project should, however, have the right kind of networks around them to get the ball rolling on a project which is seeking not only to dominate an industry but also define it. The token economics of the project are fairly detailed and readers are invited to read the white-paper in order to get a comprehensive understanding of the proposition. In summary, however, there will essentially be two token types – a token A (BXX) which will be available for purchase during the ICO period, and a token B (BXXS) which will be minted and distributed in the project’s post-ICO phase. B tokens will be released to A token holders in direct proportion (1%) of how many A tokens they hold in their wallets. B tokens will then permanently entitle holders to a share in revenues generated by the Baanx network, which is in turn defined by the size of their token holdings. There are three share pools: 10% for those who hold in excess of 100 tokens, then 15% for those who hold in excess of 1000 tokens, and 20% for those who hold in excess of 10,000 tokens. These “dividends” are paid through the medium of token A. The road map is comprised of distinct phases which appear to correspond – roughly – with calendar years. We focus on the current and future aspects of the road map below. Extensive Development of Secure Wallet, CryptoPay and Cryptobank framework. Release of Proof of Concept & then MVP in June 2018 for first live Crypto products. Extensive market research, negotiations with potential brands. ICO launch end of Q2 2018. Full Bank services with Open API Fintech App Marketplace for customers. Reach 5-10 million customers using 100+ cryptobank brands across Europe, Asia, Africa, South America and some US access. US banking license received and extended across multiple key states. Meeting of Crypto & Fiat in Banking has been delivered worldwide. Strong partner network with full service portfolio. The team is comprised of twelve headline figures who, between them, carry backgrounds with entities such as Visa, MasterCard, JPMorgan and Commerzbank. The ICO advisory board is also comprised of twelve figures, including Simon Choi, legal advisor, who tends to be a little bit more selective in his choice of partnerships in comparison to other advisors in the field. 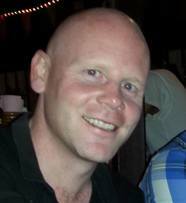 Chris Coulthurst, CTO: Previously, consulting partner at Noetic Partners. The Baanx proposition is an ambitious one, and to understand it in full requires beginning with a full reading of its white-paper. For those who cannot quite stomach the 67 page marathon proposition, a short-paper is also available and likely serves as a better introduction. The entire proposition hinges on whether there will be an explosion in blockchain / crypto-based banking services. Whilst there are a large number of crypto-banking ICOs now in existence, few seem to have taken a step back in the manner of the Baanx team, assessing that the better approach may be to adopt a BaaS approach – Banking as a Service, or, in other words, serving as a trampoline for the upcoming blockchain migrations of those businesses that will need such a service in the next few years.